Mangalica Festival Budapest, 07-09. February, 2020. Date Is Not Official Yet!!! 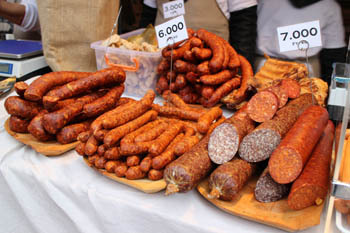 The Mangalica Festival on 07 – 09. 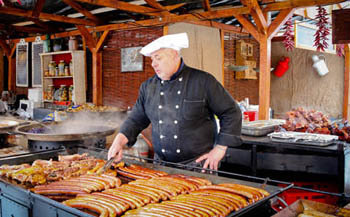 February, 2020. launches the series of gastro festivals held yearly in Budapest. 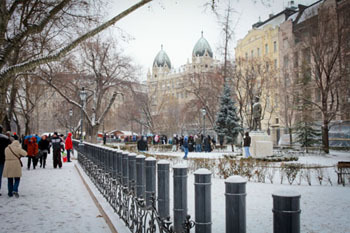 The festival’s locale is Szabadság tér near the Parliament in the city centre. Eeasily accessible by tram or metro. 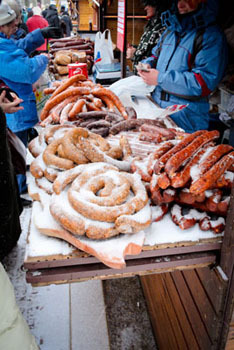 Since we love mangalica meat and sausage, we drop by the festival each year to taste and stock up on mangalica goodies . We usually stick by to listen to some of the concerts if it is not too cold though some hot wine or a shot of pálinka helps to endure the chilly February weather. 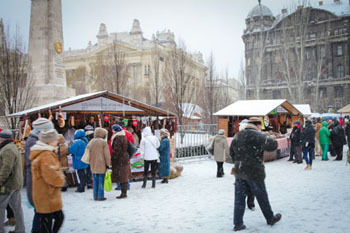 You can also find some of the best pálinka makers of Hungary among the many food stalls. But if you find this local spirit too strong have some wine or craft beer to warm you up inthe February cold. Note: Pálinka is a popular Hungarian strong alcoholic drink with around 40-50 % alcohol content. It’s a fruit distillate made from a a variety of local fruits: apricot, plum, pear, cherry, apple etc. special flavours (elderflower, quince) or spiced versions are also available. Admission: free, tasting of mangalica products at the exhibitor stalls is usually free. Hotel TIP: The Iberostar Grand Hotel Budapest is a chic, luxury boutique hotel right at Szabadság Square – a great choice if you want to be close to the festival and right in the heart of the city. The first mangalica festival took place in 2007 to promote mangalica products and to provide a platform for raisers of the breed. 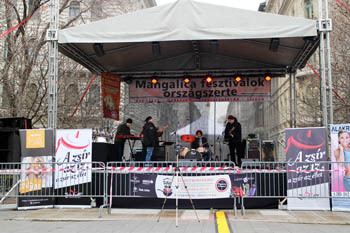 Since then the festival has become one of the largest gastro events in Budapest that both locals and tourists look forward to each February. 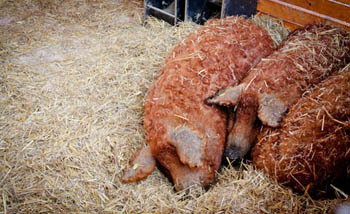 Animal exhibit area: where you can see mangalica pigs: 3 from the three types: red, blonde and swallow-bellied. craft beer, wine and pálinka makers. 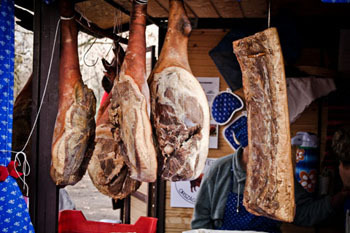 There’ll be a cooking competition on Saturday where meals have to be made from mangalica products. 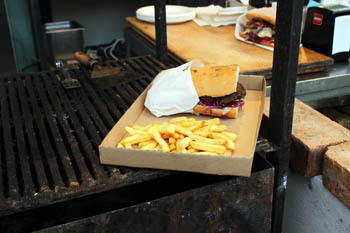 streed food specialties prepared in food trucks. The best food trucks will offer their goodies. Pöriző – a brand-new food bar specializing in pörkölt, Hungarian paprika stew. Mangalica (also known as curly-hair hog) is a unique pig breed indigenous to Hungary. Historic records first mention it in 1791. The breed is a result of the cross-breeding of Bánsági Sumádia and Szalontai, Bakonyi pigs. Due to its undemanding nature, quick reproduction and fast fattening, Mangalica became very popular among Hungarian farmers in the 19th century. Mangalica is a “lard-type” pig with flavorful, marbled meat. Its meat and the products made from it (sausages, salami, ham, bacon) are not only tastier but also slightly healthier than that of ordinary pigs. It’s because mangalica fat has better ratio of unsaturated and saturated fatty acids. Unsaturated fatty acids are considered to be healthier since they don’t increase the level of blood cholesterol. Mangalica fat (and meat) also tastes richer. The fat melts at lower temperature due to the unsaturated fatty acid content. Since the 1950-ies mangalica had lost its popularity because it’d been replaced by “meat-type” swine breeds producing leaner meat. In recent years the fame of mangalica and mangalica products has been resurrected thanks to events like the Mangalica Festival. 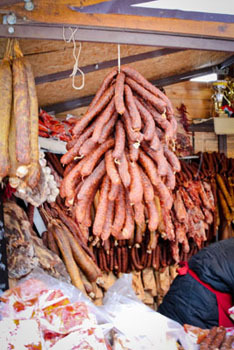 This unique Hungarian pork meat is sought after even in the US. 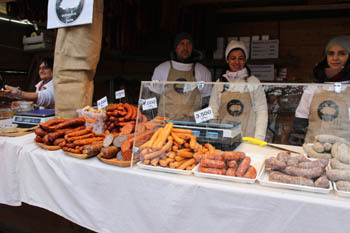 Visit the event around the second weekend of February to taste and buy some mangalica and enjoy the programs in the heart of Budapest! 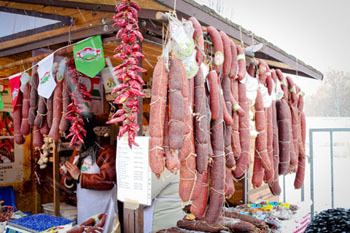 Hungarian Food Specialties – paprika, Pick salami, túró rudi, szaloncukor and many more. Hungarian Dishes – what dishes are favored by Hungarians? 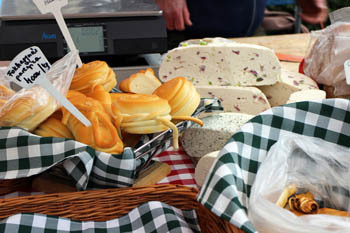 Restaurants Serving Hungarian Food – places to sample good Hungarian food.